Monday morning means one thing, and that's European Nintendo Download news. This week's offerings include plenty of retail titles, including two very different new RPG adventures on the 3DS and some Wii U retro goodies, alongside plenty of others and some discounts. Let's get right to it. 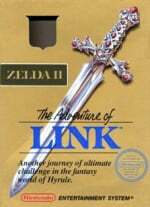 Zelda II: The Adventure of Link (Nintendo, €4.99 / £3.49) — This still remains, arguably, the biggest oddity of the Zelda franchise — no, we don't count CDi games! With a top-down overworld and side-scrolling action when in dungeons and towns, the leveling-up elements of this release also set it aside from its contemporaries; it can also be teeth-grindingly difficult. It's perhaps the series underdog and may not be for everyone, but we thought it deserved support and praise in our Zelda II: The Adventure of Link review. This is the US version of the game. Gradius (Konami, €4.99 / £3.49) — This is a name that'll be familiar to gamers of a certain vintage as one of the defining shooters of the 8-bit era. 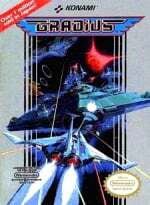 This one is of the sidescrolling variety, and though its age is starting to show is still well worth consideration, as our 3DS Virtual Console Gradius review explains. This is the US version of the game. Happy Circus (Moving Player, €2.99 / £2.69) — Another title to join the steadily growing library of education games on the 3DS, this one promises to help youngster learn to read and count in six languages, all wrapped in a cute circus animal bow. We'll learn our ABCs and bring you a review. Milon's Secret Castle (Nintendo, €3.99 / £3.59) — More NES nostalgia arrives on the 3DS, this time in the form of a Hudson Soft title that's being brought to the service by Nintendo. 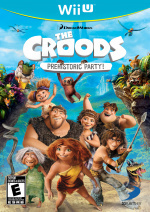 An action adventure, this is perhaps well known for being a fairly cryptic title that, nevertheless, has its share of fans. In our view this isn't an 8-bit experience that's aged well, as we explained in our Wii Virtual Console Milon's Secret Castle review. Inazuma Eleven 3 (Level-5, €34.99 / £29.99) — Available in two varieties, Lightening Bolt and Bomb Blast, the third main series entry will be alive and kicking on the 3DS eShop and in stores from 27th September. Originally a DS title given some 3D treatment for a trilogy re-release in Japan, this arrives in Europe in its individual 3DS form. You can expect more of the same as its predecessors, with lots of wacky special moves, and we'll bring you our review very soon. Shin Megami Tensei: Devil Summoner: Soul Hackers (NIS America, €39.99 / £34.99) — This 3DS remake of the classic SEGA Saturn title arrives in Europe not long after its release in North America; that's not a sentence we can type often. This cyberpunk tale includes the usual franchise mix of first-person dungeon crawling, and also provides an accessible option for newcomers to dive in — all while keeping veterans pleased. You can read our glowing recommendation in our Shin Megami Tensei: Devil Summoner: Soul Hackers review. A lengthy list this week, albeit one packed with a number of retail downloads and some discounts. Let us know what you plan to download in the poll and comments below. Pathetic VC week and plenty shovelware for 3ds, hooray, now we know it is succesful. It's weird that good news is bad news. Remember, X/Y and Sonic Lost World are pretty much around the corner by now. As for me, well, nothing this week. I just hope Nintendo starts rereleasing the "big ones" for GB/GBC/NES at a faster pace, so we can finally get our GBA Virtual Console - on the 3DS, that is. I would be more likely to play Milon's Secret Castle than the NES version of Gradius. 2 more empty Miiverse communities. Woohoo. Konami seems disinterested with Nintendo these days. PSP got Gradius Collection for example. Crisis Force is the best Konami NES/Famicom Shooter. (And it is the only good one). @unrandomsam Gradius II would have been a better release, the NES version even had speech! Man crappy week, especially after last week. Oh well, gotta save up anyway. Sooooo many good games are just around the corner! Loved DoReMi Fantasy. Now that it's 1€ cheaper than on WiiWare I might try it... Or maybe I wait for it to come to Wii U, so I can play it on the Gamepad AND on the TV. @Cohort As far as I am concerned if they give another console the best version there is no way I will ever buy the inferior one. (That PSP collection has arcade versions of Gradius I-IV (And a version of Gradius Gaiden). Nothing to download, but bought soul hackers and will buy inazuma, all retail of course. @unrandomsam I'm guessing that it's easier to pump out the NES ports, I don't even know if the Wii eShop upgrade is even worth it for NES Gradius? But Gradius II was great! Looks like a Nintendo only VC for the Wii U from now on? guess I'll go out and get the retail version then! As I have a 3ds and a Wii, there's definitely nothing for me this week. I wish they would up the release rate a little bit. I mean, the Wii seems to have come to the end of it's VC life pretty much now and that was by no means a game library that reached it's full potential. 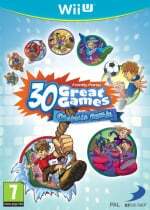 Family Party: 30 Great Games Obstacle Arcade (NAMCO BANDAI Games, €19.99 / £19.99, was €29.99 / £27.99)"
As much as I tried, I can't make any sense of the prices. Non-equal cuts, and the same goes for the comparison between £ & € prices. And both are coming from the same company. Which I can't make any sense of either, since they used to make great games. About ps4 or X1 I simply say that there are mostly multiplatform and games for pc fan base, so I f I want something more of that then I can buy on pc. Milon's Secret Castle?! HAHAH, all I thought of was the Angry Video Game Nerd. I don't know if Cradle of Rome 2 will be released on eshop in US but the physical copy is $19.99 new and $14.99 for preowned. These games always plummet in price after a few months. Usually at 6 months they go on clearance for less then 7 dollars used. The DS versions I never paid more then $6.99 for any Jewel puzzle game. I would pass on the eshop version unless its $6.99 at most. I hope Tangram Style is on sale in US for $2.99 I will get it. Where have the days gone that I actually looked forward to what de 3DS eshop had to offer? I'm certainly going to have to get a bigger SD card for my 3DS - it has games coming out of its earholes. I'd be interested in Soul Hackers, but after downloading Monster Hunter 3 at a discount price, I've got no room. Then again, I've got Etrian Oddesey yet to buy, so maybe in a few months. I might read up on Inazuma 11 as well. I played the DS original, and didn't get on with it, so I'll have to do a bit of research to see if this sequel is better for me. It was an interesting idea. Other than that, I don't see anything I'd dash out (for a game credit card at GAME) and buy. I'm dissapointed that the Virtual console is going so slowly. Unlike some other commenters, I hadn't noticed that the 3DS virtual console has been neglected so, but I'd be interested in seeing more games - if not for some more Gameboy classics not available on the Wii/WiiU VC. @TreesenHauser The game really isn't as bad as he dramatized it to be. I enjoyed it as a kid, and managed to beat it back then without the use of cheats or FAQs. If a kid is capable of that, then why not an adult with a web series? Such a disappointing week for Europeans. Hopefully NA gets better VC treatment (SMB3 please). @AlexSora89 I don't want either of them. I want snes and/or gba games. And GBC games. And better NES games. I'm still waiting for A Link to the Past for Wii U VC. I don't want to play with Wii VC version. Maybe on of the Inzuma games. Nothing, well I can't complain, it was a really good week last week. I'm surprised they're not trying to drop some of the DKC SNES games to build up for Tropical Freeze's release. I got a £5 reward card, so I'm gonna get Zelda 2 and maybe Pilotwings. 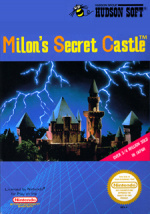 Why would i bother buying Milon's Secret Castle. It's obviously a mediocre game. What about Flipnote Studio 3D? Would buy the Zelda NES titles on Wii U but already have them on the 3DS. Wish more titles especially the promised GBA titles would come out on the Wii U VC. Would love for any N64 titles on Wii U. Would actually like to see Virtual Boy games on 3DS, I would buy them all at like $5 to $8 each. Zelda II is a great one despite its flaws, and I personally love Gradius with all it's flickering slowdown glory. Of course, I played those as a kid so they get to play the nostalgia card on me. Those are some classic Virtual Console releases, too, so no one can really complain... except for those who expected all the previous Wii releases to suddenly be converted over and ready to go. I only wish they all came with the instruction manuals with all the art and stuff. i have about £7.81 on my 3ds just waiting for the megadrive 3d classics, It seems to be taking an age to release them...where are they? Finally, Konami on Wii U Virtual Console at all!